Ok, so today we are going to get into the why I thought and still think that we need this workbook. This book is to record all your adult learning and thoughts to what you have learnt. It’s a book so unique to you that everything that you record is neither right or wrong. NO one will judge you or comment on what you wrote. No teacher will ever grade what you have written or criticise you on what subjects you are learning. Your thoughts are all yours. If you are a student at heart (not talking about the parties here just the learning) then this is just the kind of book that you will need and enjoy using. Well like I said in part one I had my notes all over the place and had a hard time finding where I had written my ideas. I also had loads of scrap paper filled with notes, taken while watching a webinar or a YouTube video. 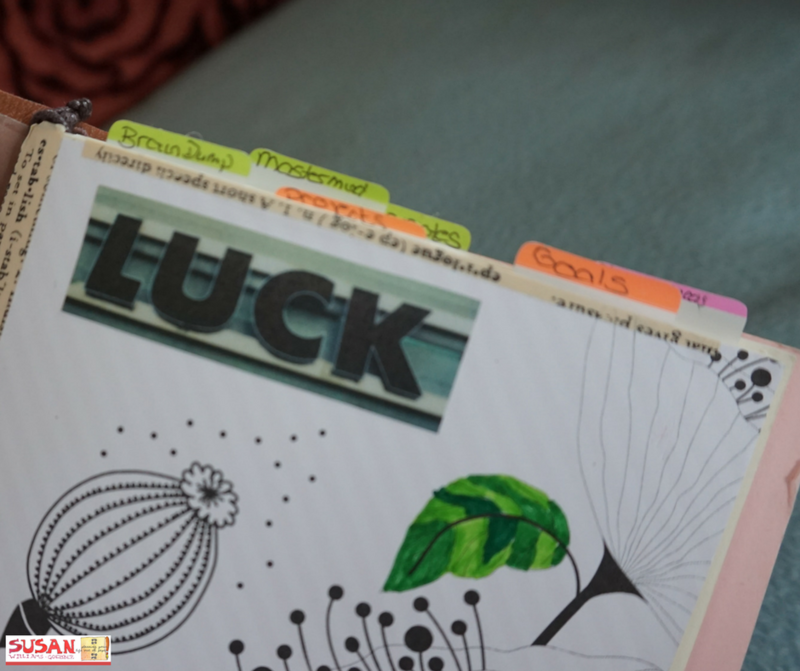 The biggest problem was that I had different places where I wrote down notes from my mastermind meetings, things I wanted to complete, to-dos the group wanted to hold me accountable for and loads more stuff that came into my head that didn’t have a home. My notes were never really in the same book because I just grabbed what was laying around. So, I needed a place which would hold all this information. I was looking for a way I could cross reference things that I had learned and wanted to implement, a place I could look back and reflect, relive whatever I had seen or read. But having 3 or more notebooks on your desk, trying to remember which book you took notes in, say like, how to use canva or the webinar about writing better copy, or my fav. Easy Peasy LOA lessons. Let’s face it I needed some kind of organisation for my notes. What get’s me is that I teach kids and all my class notes are divided into sections. Why I didn’t do the same for my own personal growth notes, I have no clue, and me an organisation freak. Setting up my Workbook into different categories. I liked to divide the pages into half to be able to take more notes. On one side I would write down the class notes then on the other my thoughts. Mind you I didn’t always write down what I was thinking at the time because some webinars can be packed full of information and there is no time to write down your all your thoughts. So I would fill out both sides with notes taken from the class. I would go back and write thoughts and highlight things I wanted to implement after the lesson or while watching the replay. NO real reason behind the why I’m using this kind of book. I only want to see if this could work the same as the other 2 books I have used. Plus, I’ve now found a reason for myself to own a traveller’s notebook. You just have to justify wanting to buy something new, well I did. 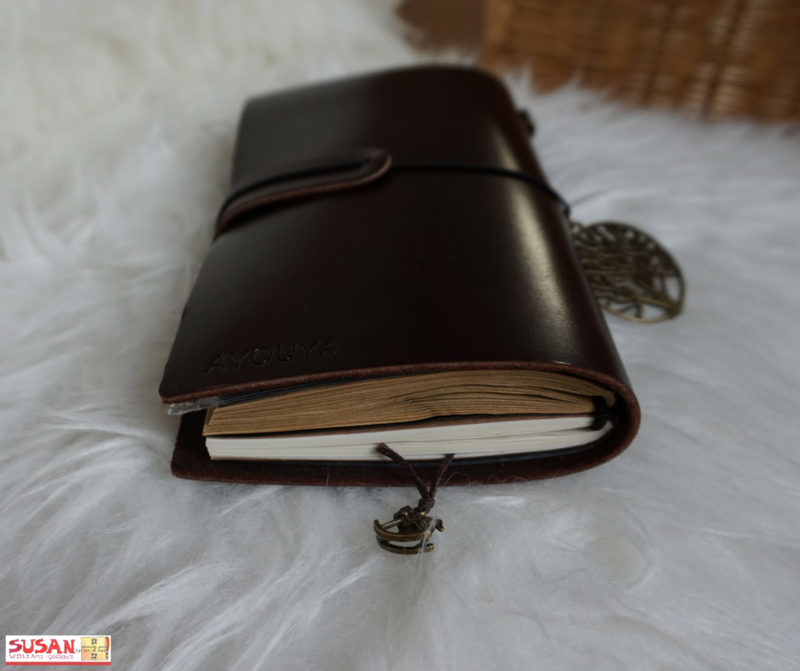 My reasons were that I could use up the notebooks that I have already in my collection plus find out what the attraction to owning a traveller’s notebook is. 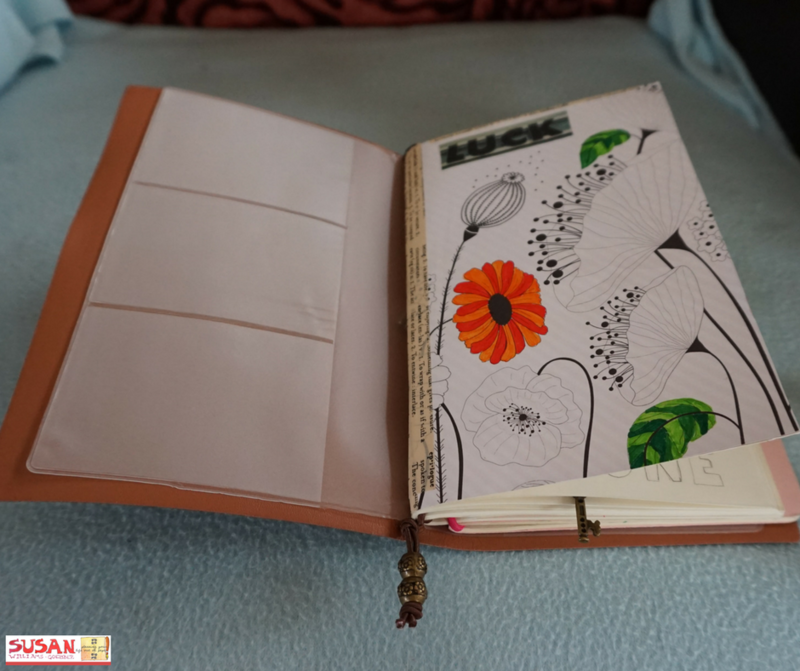 I like the thought of filling a notebook up with notes and then swapping the full one out for a new one that I can then decorate the cover of, is thrilling. Here I’ve just stuck a Flow magazine page to the cover and every now and then I colour it in. So it becomes fun to use. I’m not going to lie it did take me a while to get used to writing inside this book. The pages don’t always lay flat and I think that you have to sometimes take out a booklet to write inside. I don’t see the point of doing that right now I’m forcing myself to use it how it is now, or what is the point in having a traveller’s notebook? The one that I like to carry in my bag with me everywhere is this one. This one is a wee bit different than the one that stays at home. It’s small enough to fit into every bag that I own. It has two notebooks that I have already messed up, by spilling water on it, the pages are now wrinkled as you can see above (the brown booklet) but I’m kinda in love with this one. While I’m sat outside of yoga studio I take this out and write down the thoughts that have popped into my head just before class and after class. I know that by the time I’m home I would have forgotten everything. Yep, that’s me forgetful. I sometimes wish I had time to write just after our relaxing meditation right at the beginning of the lesson. I wish Horst would say, “Right Susan you have 2 minutes to write every idea down that just came” now that would just be the best. 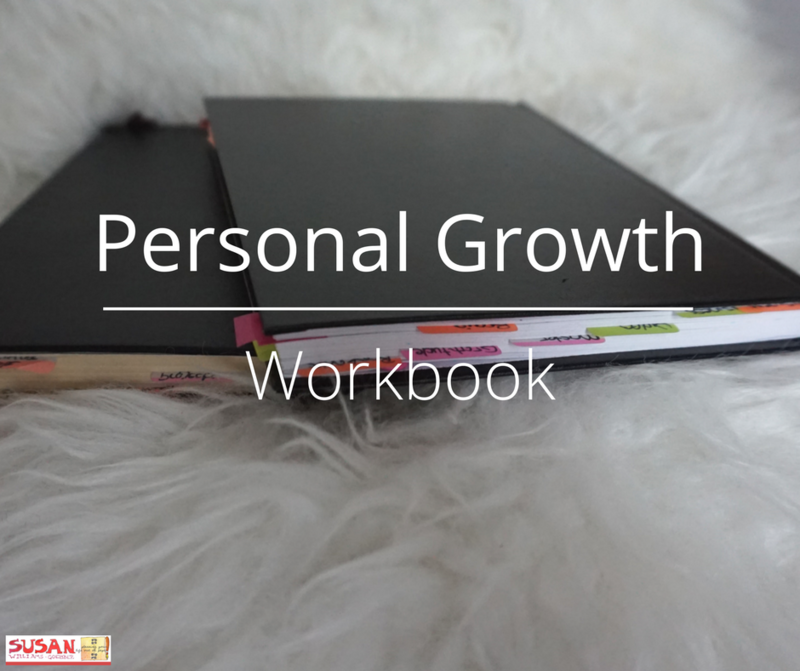 I will be taking you inside both of my workbook thingy’s and you will be making your own. So please feel free to join us in making your own this month. All you have to do is sign up below and be added to the list. It’s over on Skype and it’s limited to 6 peeps. So hurry if you want to join in on the fun. If you have any questions what so ever, please feel free to leave them below. 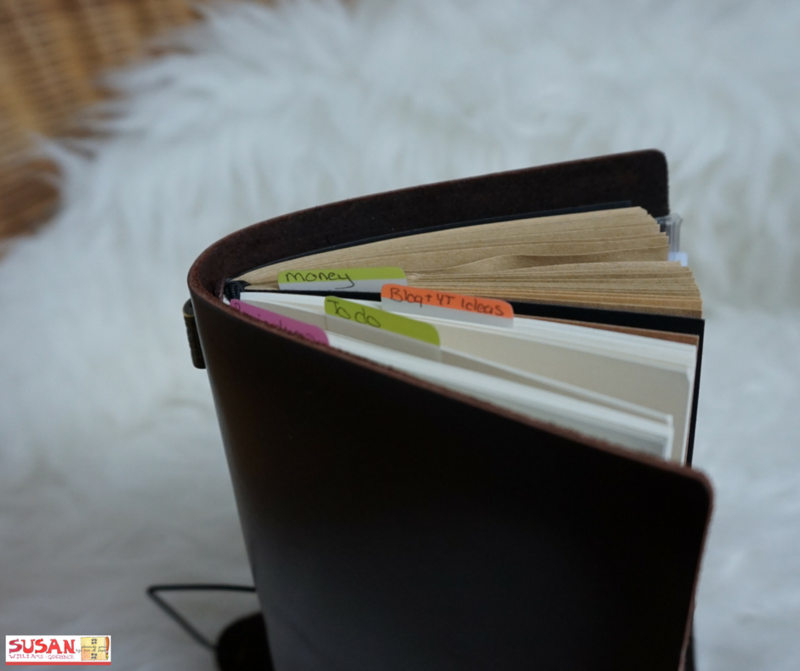 That’s a really good idea, love that you’re making your own book Hanka.